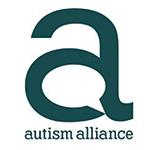 The Autism Alliance is the major network of specialist autism charities in the UK. With national coverage from our member organisations we ensure the voice of people with autism and their families is heard. Our local and national members support thousands of children and adults on the autism spectrum in a variety of settings from residential, day services, schools, family support and pathways through to work.